Iraq are one of eight current AFC members to have won the continent's most coveted trophy, the AFC Asian Cup, having done so in 2007 when they beat Saudi Arabia 1–0 in the final. The triumph has been described as one of football's greatest fairytale victories, with the team managing to eliminate competitors with far greater preparation and resources on their way to the title, bringing joy and unity to the people of their war-torn nation. Iraq also achieved success at the Asian Games when it was a senior competition, winning the gold medal in 1982 by defeating rivals Kuwait 1–0 in the decisive match. The team has been awarded the AFC National Team of the Year award twice (and the under-20 team has won the award once); only Japan have won the award on more occasions. The Saudi Arabia national football team represents Saudi Arabia in international football. The team's colours are green and white. Saudi Arabia are known as Al-Suqour and Al-Akhdhar. The Arabian Gulf Cup, also known as the Gulf Cup of Nations and often referred to simply as the Gulf Cup, is a biennial football competition for the Arab states of the Persian Gulf, in addition to neighbouring state Yemen, and is governed by the Arab Gulf Cup Football Federation. The history of the competition has also seen it held every three to four years due to political or organisational problems. The Arab Nations Cup is a football competition held between Arab countries. The first edition took place in Lebanon in 1963. Iraq is the most successful team in the history of the tournament with four consecutive titles in 1964, 1966, 1985 and 1988, while Saudi Arabia has won twice in 1998 and 2002. Other winning sides were Tunisia in 1963, Egypt in 1992, and Morocco in 2012. The Pan Arab Games are a regional multi-sport event held between nations from the Arab world. A men's football tournament has been held at every session of the Games since 1953, except for 2004. Iraq have participated in the FIFA World Cup once (in 1986)  and in the FIFA Confederations Cup once (in 2009),  being eliminated in the group stage both times. They reached as far as the quarter-finals in the Olympic Games when it was a senior tournament, with the under-23 team going even further in later years. The team has been ranked as high as 39th in the FIFA World Rankings, which they achieved in October 2004. The Iraq Football Association is the governing body of football in Iraq, controlling the Iraqi national team and the Iraqi Premier League. The Iraqi Football Association was founded in 1948 and has been a member of FIFA since 1950, the Asian Football Confederation since 1970, and the Sub-confederation regional body West Asian Football Federation since 2000. Iraq also is part of the Union of Arab Football Associations and has been a member since 1974. The Iraqi team is commonly known as Usood Al-Rafidain, which literally meaning Lions of Mesopotamia. The Morocco national football team, nicknamed "Atlas Lions", is the national team of Morocco. It is managed by Hervé Renard. Cornel Drăguşin is a retired Romanian football manager who coached the national teams of Iraq, Syria and Romania. He was director of the Romanian FA coaching school from 1990 to 2002, until being replaced by Mircea Rădulescu. The 1964 Arab Nations Cup is the second edition of the Arab Nations Cup hosted by Kuwait. In Iraq's first appearance, they won the title for the 1st time. After all this success, Iraq topped it off by qualifying for the 1986 FIFA World Cup with a win over Syria. This was the first and last time to date that Iraq have achieved this. Having finished in a lowly sixth place at the 1986 Arabian Gulf Cup, Iraq were unfancied in the 1986 FIFA World Cup; however Iraq lost all three of their games in the tournament by just one goal, and would have drawn the opening game against Paraguay had the referee not disallowed a legitimate Iraqi goal. Iraq's only goal in the tournament was scored by Ahmed Radhi, the second-highest goalscorer in Iraq's history with 62 goals, behind Hussein Saeed who scored 78 goals. In the following years, Iraq reached the quarter-finals of the 1986 Asian Games, won the 1988 Arabian Gulf Cup, reached the quarter-finals of the 1988 President's Cup Football Tournament, won the 1988 Arab Nations Cup, were knocked out at the first round of 1990 FIFA World Cup qualification and won the 1989 Peace and Friendship Cup. Overall, Iraq won nine competitions in the 1980s and played in their only ever World Cup, leading many to believe that this was the Golden Era of Iraqi football. In 1990, Iraq withdrew from the 10th Arabian Gulf Cup after complaining about the referee in their match against the United Arab Emirates. Following the Iraqi invasion of Kuwait later that year, Iraq were kicked out of the tournament and didn't return until 2004. They were also banned from the Asian Games and Arab Nations Cup tournaments for the same reason, leading them to participate in friendly competitions instead. 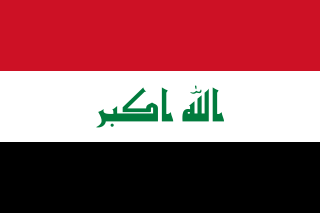 Iraq started the 2000s by finishing in third place in the first ever WAFF Championship in 2000, while the reserve team finished as runners-up in the Independence Cup. That year Iraq also played in the 2000 AFC Asian Cup but were knocked out at the quarter-final stage again, this time by Japan in a 4–1 loss. Iraq reached the second round of 2002 FIFA World Cup qualification but lost five of their eight second-round games and therefore failed to make the finals. Iraq won their first ever WAFF Championship in 2002, beating Jordan 3–2 in the final after extra time despite being two goals down. In this game, Younis Mahmoud scored his first official goal for Iraq right at the end of normal time to take the match to extra time; Mahmoud would go on to become Iraq's most-capped player ever. In 2004, Iraq finished fourth in the WAFF Championship, reached the quarter-finals of the AFC Asian Cup, were knocked out at the second round of 2006 FIFA World Cup qualifiers and were knocked out in the group stage of the Arabian Gulf Cup. In 2004, Iraq were ranked as high as 39th in the World Rankings which is their highest ranking position in their history. The following year, Iraq participated in the West Asian Games for the first time and won the gold medal by beating Syria in the final via a penalty shootout, with goalkeeper Noor Sabri saving two penalties and scoring one himself. In 2007, Iraq were knocked out at the group stage of the Arabian Gulf Cup. The exit from the Gulf Cup happened in very controversial circumstances as Iraq attempted to make an agreement with Saudi Arabia to draw the final game which would put both teams through to the next round; the Iraq manager Akram Salman told the Iraqi players not to win the game but the Saudi Arabian players were unaware of any agreement and went on to win the game and knock Iraq out of the cup. A few months later, Iraq reached the final of the WAFF Championship but lost 2–1 to Iran. The following years saw Iraq finish third at the 2012 Arab Nations Cup and lose the finals of both the 2012 WAFF Championship and 2013 Arabian Gulf Cup to Syria and the United Arab Emirates respectively after the resignation of Zico. Iraq reached the fourth round of 2014 FIFA World Cup qualifiers but finished bottom of their group. Iraq decided to send their U23 team to the 2014 WAFF Championship, but they sent their first team to the 2014 Arabian Gulf Cup where Iraq finished bottom of their group, leading to the sacking of Hakeem Shaker and the appointment of Radhi Shenaishil as manager. Despite poor preparations, Shenaishil led Iraq to the semi-finals of the 2015 AFC Asian Cup before they lost to South Korea and the United Arab Emirates to finish the tournament in fourth. Their run included an amazing 3–3 draw with Iran in the quarter-final, which Iraq then won in a penalty shootout. Younis Mahmoud also became the first player to score in four different Asian Cups. After this great success, Shenaishil returned to managing Qatar SC and Iraq appointed Akram Salman as manager but he was soon sacked after losing the 2015 Kirin Challenge Cup 4–0 to Japan. Yahya Alwan was appointed and he led Iraq to direct qualification for the 2019 AFC Asian Cup as well as qualification to the third round of 2018 FIFA World Cup qualifiers. Despite this, he was replaced by Radhi Shenaishil due to Iraq's poor performances in the qualifiers. Iraq were drawn with Thailand, Saudi Arabia, United Arab Emirates, Japan and Australia in their third round group. After losing five of their first seven games, Iraq were eliminated from the qualification process, and Radhi Shenaishil was sacked,  replaced by Basim Qasim. Qasim led Iraq to the semi-finals of the Arabian Gulf Cup, where they were knocked out by the United Arab Emirates. Iraq played their home games on neutral territory in the 1980s due to the Iran–Iraq War, but still qualified for the 1986 World Cup in Mexico, and three Olympic Games (Moscow, Los Angeles and Seoul). In qualification for the 2002 World Cup, Iraq played at home against Iran for the first time since the war between two nations, Bahrain, and Thailand in the Al-Shaab Stadium in Baghdad, but Saudi Arabia refused to play against the nation because of the tensions between that country and the regime of Saddam Hussein. 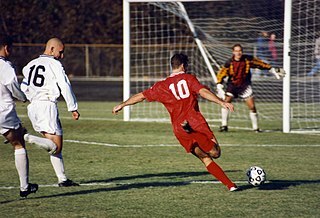 In 2003, the war in Iraq forced Iraq to play their home matches outside the country for security reasons, and so fixtures were held in Jordan, Syria, Qatar or the UAE. On 2 September 2011, Iraq played a FIFA World Cup qualifier on home ground for the first time in years. They played against Jordan in front of a crowd of 24,000 people in the Franso Hariri Stadium in Erbil. However, on 23 September 2011, FIFA banned Iraq from playing their qualifiers at home yet again due to fears over security and a breach of safety regulations in the match with Jordan. The Franso Hariri Stadium went on to host the 2012 AFC Cup Final. On 22 March 2013, FIFA lifted the ban on international football friendlies in Iraqi stadiums. Four days later, Iraq played their first international friendly match in Baghdad since 2009 against Syria in front of a crowd of over 50,000 people in the Al-Shaab Stadium and won the game 2–1. Two months later, they played another friendly at the Al-Shaab Stadium, this time against Liberia. However, on 3 July 2013, FIFA barred Iraq from hosting international football friendlies due to a massive surge in nationwide violence, barely three months after world football's governing body gave Baghdad the go-ahead. It was also announced in early 2018 that Iraq will host the 2018 WAFF Championship in November 2018. As of 26 March 2019counted for the FIFA A-level matches only. Caps and goals correct as of: 26 March 2019, after the match against Jordan . ↑ Iraq's Asian Cup win qualified them for the Afro-Asian Cup of Nations, which was to be a match played in November 2008 against Egypt hosted in Riyadh, Saudi Arabia. However, the match was eventually cancelled. ↑ The Asian Games has been part of the Olympic Team's record since 2002; since then Iraq has achieved one silver medal and one bronze medal. Likewise the Olympic Games has been part of the Olympic Team's record since 1992; since then Iraq has achieved fourth place once. ↑ No third place match was played; Iraq ranked above Yemen based on overall record in the tournament for the purpose of this list. The United Arab Emirates national football team represents the United Arab Emirates in association football and is controlled by the United Arab Emirates Football Association, the governing body for football in United Arab Emirates and competes in AFC. They were for a time managed by legendary English manager Don Revie. The Jordan national football team, is the national team of Jordan and is controlled by the Jordan Football Association, the governing body for football in Jordan. Jordan's home ground/stadium is the Amman International Stadium. Jordan have never qualified for the World Cup finals, but have appeared three times in the Asian Cup and reached its quarter-final stage in the 2004 and 2011 editions. The Oman national football team is the national team of Oman that has represented Oman in international competitions since 1978. Although the team was officially founded in 1978, the squad was formed long before, and a proper football association was formed only in December 2005. The team is governed by the Oman Football Association. The Qatar national football team is the national team of Qatar and is overseen by the Qatar Football Association. The Lebanese national football team, controlled by the Lebanon Football Association (LFA), has represented Lebanon in association football since their inception in 1933. The squad is governed by the AFC in Asia, and FIFA worldwide. Until 2019, Lebanon had never qualified for a major competition through qualification, however, they reached the main stages via qualification for the 2019 Asian Cup. Lebanon's main stadium is the Camille Chamoun Sports City Stadium in Beirut, however they also play at other stadiums such as the Saida International Stadium in Sidon. The Yemen national football team, is the national team of Yemen and is controlled by the Yemen Football Association. The West Asian Football Federation (WAFF), founded in 2001, is an association of the football playing nations in Western Asia. Its founding members are Iran, Iraq, Jordan, Lebanon, Palestine and Syria. In 2009, three more associations joined the federation: Qatar, United Arab Emirates and Yemen. Four other nations of Western Asia: Bahrain, Kuwait, Oman and Saudi Arabia joined in 2010. Iran left the federation on 10 June 2014 with the creation of Central Asian Football Federation. Bader Ahmed Al-Mutawa is a Kuwaiti professional footballer who plays for Qadsia and the Kuwait national team, where he usually operates as a second striker. He wears the jersey number 17 for both club and country. Younis Mahmoud Khalaf, is an Iraqi former professional footballer who played as a striker for the Iraq national football team and is currently the President of the Iraq Former Players Association. One of the country's greatest ever players, Mahmoud captained the team for ten straight years and became an icon of Asian football. He also played for a number of clubs including teams in Iraq, UAE, Qatar and Saudi Arabia, breaking numerous records including becoming the first player in Qatar to score two hat-tricks in the same game. Hussein Saeed Mohammed Al-Ubaidi is a retired Iraqi footballer who played as a forward for the Iraqi Premier League club Al-Talaba and the Iraqi national team and is a former president of the Iraq Football Association. Saeed is in fifth place in the list of top international association goal scorers, with 78 goals. Along with Ahmed Radhi, he is considered to be the best Iraqi player of the 20th century and features in 25th place in Asia's Best Players of the Century list. On 24 April 1987, Saeed broke Falah Hassan's record to become the most capped Iraqi player with 110 caps. Hussein is currently the Iraqi national team's highest scoring player with 78 goals. Adnan Hamad Majid Al-Abbassi is an Iraqi football manager and former player. Football is the most popular sport in Saudi Arabia. Football in Saudi Arabia is governed by Saudi Arabia Football Federation. It was founded in the year of 1956. It performs the function of administering both the club competitions and the national football team of Saudi Arabia. The Lebanese women's national football team, colloquially known as "the Lady Cedars", has represented Lebanon in international women's football since their inception in 2005. The team is controlled by the Lebanon Football Association (LFA), the governing body for football in Lebanon. The 2007 AFC Asian Cup Final was a football match that took place on 29 July 2007 at the Gelora Bung Karno Stadium in Jakarta, Indonesia, to determine the 2007 AFC Asian Cup champion. Iraq defeated Saudi Arabia 1–0 with a Younis Mahmoud header from Hawar Mulla Mohammed's corner in the 73rd minute sealing the victory. Dhurgham Ismail Dawoud Al-Quraishi, known as Dhurgham Ismail, is an Iraqi professional footballer who plays as a left back or left winger for Iraqi Premier League club Al Shorta and for the Iraq national team. The Iran and Iraq national football teams are sporting rivals who have played each other since 1962. 1 2 3 "Trophy Cabinet". Iraqi-Football.com. 1 2 3 "AFC Asian Cup 2007". Iraqi-Football.com. 1 2 3 "West Asian Games 2005". Iraqi-Football.com. 1 2 3 "1986 World Cup". Iraqi-Football.com. 1 2 "FIFA Confederations Cup 2009". Iraqi-Football.com. 1 2 3 4 5 6 7 Mubarak, Hassanin (21 March 2013). "Iraqi Football History". IraqSport. 1 2 3 4 "History". Iraqi-Football.com. ↑ "28 October 1993 - The Agony Of Doha". This Day in Football History. 28 October 2015. ↑ "1999 Results". NIIIIS (in Arabic). ↑ "Footballers who paid the penalty for failure". The Guardian. 19 April 2003. ↑ "Saddam's son tortured defeated footballers - Telegraph". 30 November 2017. Archived from the original on 30 November 2017. 1 2 "Iraq National Team's Greatest 10 Moments of the 21st Century". Iraqi-Football.com. ↑ Mubarak, Hassanin (9 May 2013). "The game that shook a nation: 2007 Gulf Cup". Iraq Sport. ↑ "Iraq in historic Asian Cup win". Al-Jazeera. 29 July 2007. ↑ "Il calcio riporta la festa in Iraq Al Maliki: "È il trionfo dell'impossibile"". repubblica.it (in Italian). 29 July 2007. ↑ "Iraqi Football Association suspended". FIFA.com. 20 November 2009. ↑ "FIFA lifts suspension on Iraq". FourFourTwo. 19 March 2010. ↑ "Brazil legend Zico in line to take over as manager of Iraq". Mail Online. 12 August 2011. ↑ "Australia, Japan to go head-to-head following Asian draw". FIFA.com. 12 April 2016. ↑ "Iraq Football Association gives Radhi Shenaishil the sack" (PDF). Iraqi-Football.com. ↑ "Basim Qasim to lead Iraq for remaining World Cup Qualifiers" (PDF). Iraqi-Football.com. ↑ "Katanec excited to lead Iraq". the-afc.com. Retrieved 7 September 2018. ↑ "FIFA officially lifts ban on Iraqi stadiums for international friendlies" (PDF). Iraqi-Football.com. ↑ "FIFA Lifts Iraq's Stadium Ban on International Friendly Matches". Soccer Iraq . 9 May 2017. ↑ "History is made as Iraq beat Jordan in the first game at Basra Sports City" (PDF). Iraqi-Football.com. ↑ "JAKO Blog – JAKO-Team im Irak". Jako.de. Retrieved 28 January 2015. ↑ FIFA.com. "The FIFA/Coca-Cola World Ranking - Associations - Iraq - Men's". FIFA.com. Retrieved 4 December 2018. 1 2 3 4 Ali Khaled. "Storied Gulf Cup rivalry between Iraq and Kuwait survives war". 1 2 Duerden, John. "Asia awaits neighbourly rivalry". ESPN . Retrieved 22 November 2014. 1 2 Montague, James (13 January 2011). "Pitch Warfare: Iran face Iraq in soccer grudge match". CNN . Retrieved 21 November 2014. 1 2 3 "Iran-Iraq classic rivalry". Iran Daily (4924). 5 November 2014. p. 11. ↑ "Asian Cup: Iran claims Iraq's Alaa Abdul-Zahra tested positive, lodges complaint about quarter-final result". 25 January 2015. ↑ "IRAQ SECURE MUCH-NEEDED WIN OVER RIVALS IRAN IN FRIENDLY" (PDF). Iraqi-Football.com. 18 March 2017. ↑ "Results and Fixtures". Iraqi-Football.com. 1 2 RSSSF (Hassanin Mubarak) (19 May 2016). 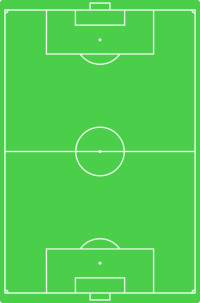 "Iraq – Record International Players". rsssf.com. Retrieved 25 July 2016.